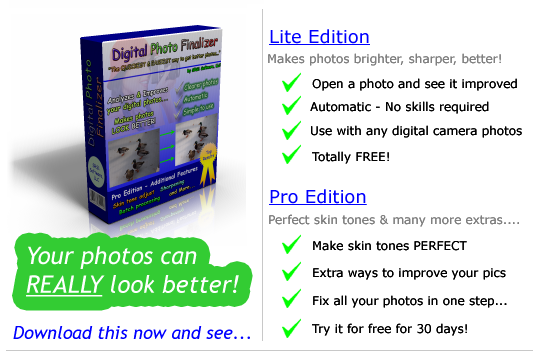 Overview - See how easy it is to make your digital photos look their best with Digital Photo Finalizer. Perfect Skin Tones - See how the unique 'Skin Tone Finalizer' feature makes skin tones in your photos look perfect. Improve Many Photos at Once - See how Digital Photo Finalizer lets you easily improve and manage large batches of photos. Note: The Lite and Pro Editions are the same download. The single download/install covers both. Note: When you make your purchase, you'll be given a registration number to enter into the software. This will permanently enable all Pro Edition features.